This is a guest blog post by Kayla Mathews. Employees who commute to and from their workplace quickly grow accustomed to their routine and familiar with their route. This relaxed attitude toward the road can sometimes cause crashes and other incidents. With vigilance and caution, however, these incidents are easy to avoid. In this blog post, we’ll provide five simple strategies to ensure the safety of motorists everywhere. EHS professionals can also deliver these suggestions to employees to help them get to and from work as safely as possible. Some people ignore the indicator lights on their dashboard. Though they’ve noticed a strange sound turning corners or a grinding noise when they brake, taking their car to a mechanic is time-consuming and costly, something they can postpone until “next week.” This procrastination is risky, and not only to themselves. These drivers would benefit from a set schedule they can follow to conduct regular vehicle maintenance. Some of the items on the maintenance checklist should include an oil change, tire pressure and wear checks, and refilling the windshield wiper fluid — small considerations that will potentially save them from expensive repair work later on. Many commuters follow the same route every morning, making occasional adjustments to account for congestion. At the end of the long workday, they often take the same route home, battling both rush-hour traffic and their exhaustion. This dangerous combination increases the risk of incidents and injuries. Employees should set aside time to research other routes available to them, finding alternatives to use if they’re feeling tired. They might discover backroads they didn’t know about — and find a route that’s safer and sometimes faster than highways. Following the rules of the road is the bare minimum standard of behavior for drivers. How they conduct themselves toward other motorists is integral to the safety of everyone involved, and it’s not enough to stop at red lights and heed street signs. Drivers have to show courtesy and respect too. That said, good behavior isn’t everything. 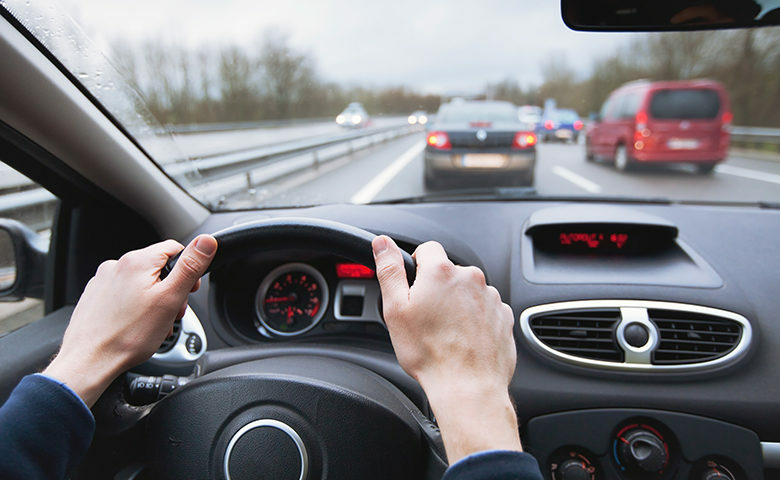 Employees should take a conscious approach to driving, assessing their weaknesses during their daily commute. As they address these weaknesses — such as fighting bad habits like panic-braking and jack-rabbit stops — they’ll improve their fuel economy as well as their safety. This is perhaps the most straightforward safety tip for drivers. It’s also one of the most important suggestions to follow, and many accidents happen every year because commuters don’t give each other adequate space. Leaving a buffer zone is essential to avoiding fender benders. Alone, the two-second rule isn’t enough to ensure a driver’s safety, and they have to exercise caution in other ways. They need to remain aware of the traffic around them as they move between lanes, only making the transition when they feel secure to do so. These rules are small notes, but they’re integral to staying safe behind the wheel. Employees traveling long distance on a temporary assignment might find that the monotony affects their concentration. It’s challenging to sustain constant vigilance, and mile after mile, as the hours pass, an otherwise capable driver can make mistakes. They become distracted or unfocused and get into an incident — it happens all the time. Coffee is a standard solution that many truckers and travelers turn to for this type of trip, and it’s the obvious choice, but regular breaks are more effective. Drivers should take time to get out of their car and stretch their legs. If they’re driving as part of employment, workers may be legally entitled to pay during these breaks. Managers and supervisors can organize meetings and seminars to touch on the information detailed above, stressing the importance of vehicle maintenance and good driving habits. They might provide suggestions on alternate routes employees can take or discuss the dangers of traveling long distances. As long as they’re encouraging higher safety standards on the road, they’re moving in the right direction. Kayla is a professional development and safety writer who has written for websites such as The Muse, VentureBeat and InformationWeek. To see more by Kayla, follow her on Twitter or visit her technology blog, Productivity Bytes. Traditional prevention programs focus on the act of distracted driving but ignore the factors that cause distraction. Understand what leads to distraction and start helping employees avoid distraction behind the wheel. Plus, get a free copy of the Driving Distraction Away guide.